“We’re actually closer than friends. We’re more like siblings,” said Prime Minister Justin Trudeau at a state dinner in Washington with U.S. President Barack Obama last March. Brothers we may be, and yet our sibling nations seem to be rapidly drifting apart. Canada has historically had more progressive laws; from sensible gun control, to legalizing gay marriage in 2005, to ending capital punishment 40 years ago, to banking regulation, to subsidized tuition, to maternity leaves, and universal healthcare—the list goes on. The events of this past year, however, saw dramatic shifts in the values of both countries. As Trudeau welcomed 33,000 Syrian refugees, Trump galvanized voters by campaigning to ban 1.6 billion Muslims and threatening to build a wall with America’s southern neighbour. While the Liberals appointed a gender-balanced cabinet (“because it’s 2015”), Trump bragged about sexually assaulting women. A political chasm has replaced the 49th parallel, such that our two leaders will have virtually no common ground. Indeed, Canada is increasingly depicted as a Utopian island of stability, miraculously weathering the hurricane of radical populism that has engulfed much of the West. This narrative is precisely the problem. Bombarded by gloomy headlines under the Trump administration, Canadians might be lulled into despondent complacency. The tendency may be to hug our Canadian passports closely, for no matter how many promises the Liberals break, at least we won’t be America. Now is not the time for self-congratulation. 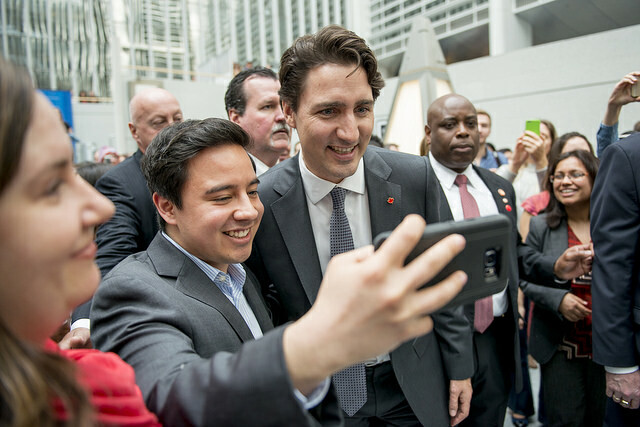 Now more than ever, Canadians must demand leadership from our leaders, rather than superficial selfies that differentiate us from Trump. The urgency for Canada to tackle climate change has already been stymied in the House of Commons. Interim Conservative Leader Rona Ambrose criticized the national carbon tax in light of Trump’s election. “A carbon tax makes no sense anymore. It’s complete insanity.” Kevin O’Leary, who believes the carbon tax will hinder Canada’s competition against Trump’s deregulated free-market, shares this sentiment. This shortsighted view allows business priorities to reign while passing the buck on climate action—as we have done for decades. Trudeau’s approval of the Trans Mountain pipeline may seem a minuscule offence compared to Trump’s plans to torch the Paris Agreement and dissolve the EPA. Nonetheless, we cannot allow our metric of climate responsibility and social progress to be weighed by Trump. It is crucial, in the future days of his presidency, that Canada maintains its obligation to defend our environment and pursue social justice. Trump’s evidence-free worldview undoubtedly does not alter the reality of climate change. Even so, Canadians must remain vigilant to ensure that Trump’s conspiracies do not encourage Canadian apathy and half-measures or even delete scientific findings altogether. American environmentalists and climate scientists met in Toronto last month in a scrambled effort to archive and copy decades’ worth of research. They fear that under Trump’s presidency the data will be erased. 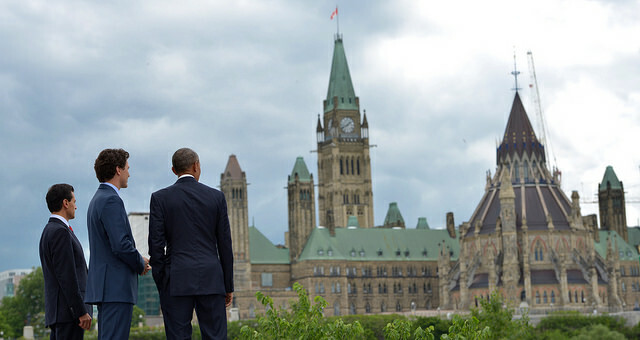 We must remember that despite our sibling spats, Canada and the US—indeed, the world—live under one roof. As Michelle Murphy, a techno-science researcher at the University of Toronto, noted, “atmospheric pollution does not respect jurisdictional boundaries. If we’re approaching a moment when the United States is going to really pull back on regulations, we are talking about something that’s continental or even planetary in scope.” Therefore, it is in Canada’s interest to transition to a carbon-free economy, even as our “big brother” marches in the opposite direction. Beyond climate change in particular, the entire continent is emotionally fatigued by the travesty that is president-elect Donald Trump. Much ink has been spilled pitting the moral superiority of Trudeau against Trump, ultimately casting Canada as a cartoonish Eden. As a result, few have stopped to ponder how Trump and Trudeau might be similar. The juvenile leaders represent opposing ideologies, yet they both employ the Internet as a 21st century mechanism of control. Both Trudeau and Trump use social media to obfuscate the truth. In contrast to the president-elect, Prime Minister Trudeau may seem like a champion of the truth, from un-muzzling scientists, to reinstating the long form census, to visiting unpleasant truths by formally apologizing for the Komagata Maru incident. Nonetheless, Trudeau’s social media brand of Sunny Ways has charmed voters away from the shady dealings of the government. While Canadians ogled at images of Trudeau cuddling pandas, his government quietly approved the sale of weapons to Saudi Arabia, providing the tools of oppression for a human-rights violating state. Viral clips of Trudeau explaining quantum physics, jogging with Mexico’s President, and hiking shirtless have distracted much of the public from his unfavourable policies. Even the more embarrassing images have diverted Canadians from the truth. Most notably is the infamous episode in which Trudeau “manhandled” (or perhaps accidentally brushed against) an MP during a heated debate. Trudeau apologized four times for “Elbowgate” and was the topic of conversation as it made international headlines—all while his government passed an assisted suicide bill, a controversial issue that was far more deserving of public debate. NDP MP Charlie Angus chastised the Liberals reliance on digital branding. “We see a government that believes it can run on slogans, selfies and Hallmark-card political aphorisms.” Although Trump dominates headlines for different reasons, his use of social media is employed as a similar diversion tactic. In a similar vein, during the US election sound bytes of Trump repeatedly attacking every imaginable minority and shattering the rules of decent behaviour pervasively controlled the news cycle . 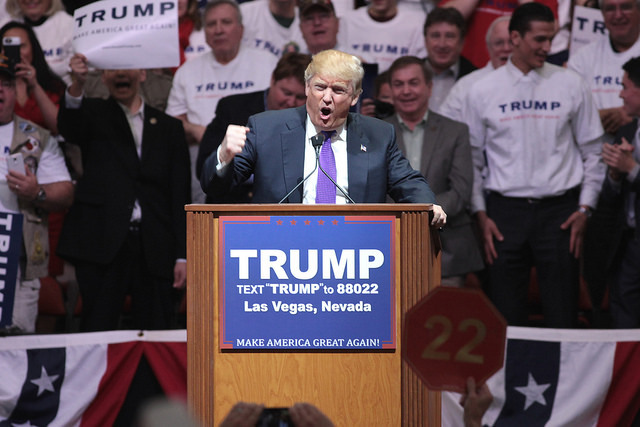 Trump’s entertainment value attracted 3 million more followers on Twitter than his adversary. Although Hillary Clinton proposed the most “comprehensive policy platform in the history of American presidential campaigns,”the public was captivated by the viral nuggets of social media that Trump consistently spewed out. Despite Trump and Trudeau’s ideological differences, the leaders of the sibling states seem to share this political tactic. It appears that in their own way, both Trump and Trudeau are contributing to the era of post-truthism. Admittedly, the image of Trudeau in yoga poses and greeting refugees is far more palatable than that of him selling weapons to Saudi Arabia or approving pipelines. Bruised by US politics, many Canadians will be happily spoon-fed positive messages from Ottawa—instead of mobilizing to demand the progress for which we voted. 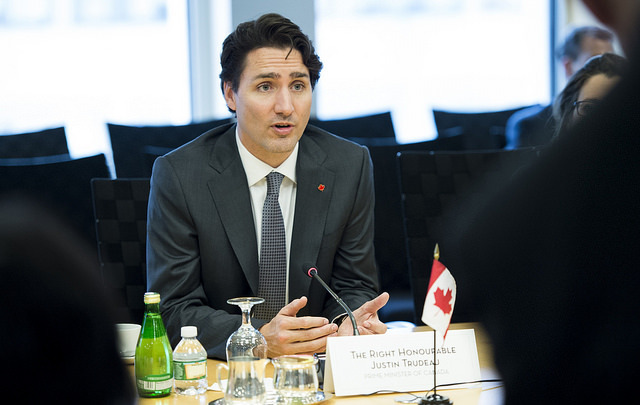 As one of liberalism’s few remaining Western leaders, Trudeau holds an immense responsibility to uphold its torch and not exploit our weary complacency. To lead effectively on the global stage, Trudeau should heed the warnings from Hillary’s downfall. Her ethically murky fundraising from Wall Street and foreign donors alienated many voters. The Liberal’s cash-for-access scandal could spell similar a defeat unless they fulfill their promise of greater transparency. 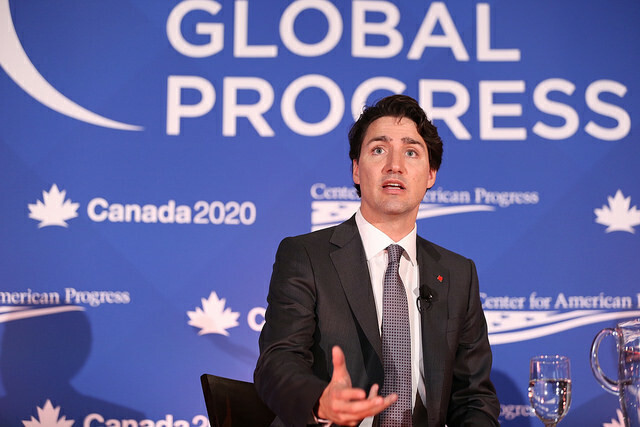 It appears that Trudeau’s listening tour, hurriedly announced last week, is an attempt to pacify the populists, and reconnect with ordinary Canadians. The tour comes as Trudeau faces criticism for a secret vacation in the Bahamas as a guest of the multimillionaire philanthropist Aga Khan. Perhaps Trudeau has learned from Trump, and is avoiding being targeted by the public’s growing disdain of liberal elites. Despite their similar use of social media to blur the truth, Trudeau is not the ring-wing populist that Trump is. Furthermore, the political values of Canada cannot be reduced to Trudeau, just as Trump does not represent all of America—indeed, the Republican candidate lost the popular vote. The latter’s ascendancy, however, does beg the question: could the Great North experience such a political cataclysm? If the Rust Belt was ground zero for Trumpmania, it seems that Alberta would be fertile ground for a comparable populist movement. In the past 18 months, more than 52,000 jobs have been slashed from the energy sector, resulting in resentment towards the spendthrift tendencies of Liberal governments. Many Albertans feel that Ottawa is out of touch with their economic realities. For this reason, the Liberals won a meagre 4 out of 34 seats from Alberta in the 2015 election. And yet, unlike the majority of the Rust Belt or Brexit voters, blame has not shifted to immigrants. 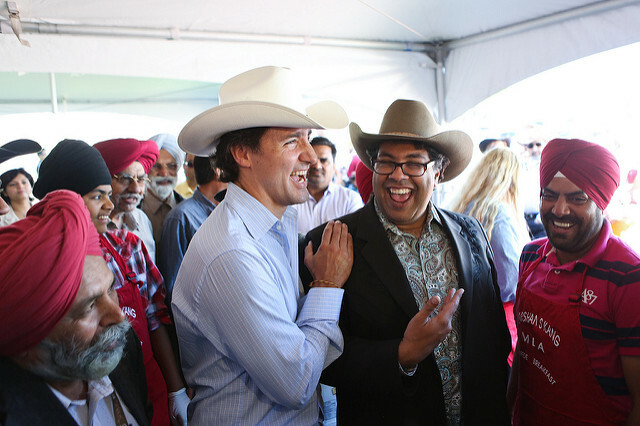 The mayor of Calgary, Naheed Nenshi, who governs a city at the heart of Canadian Conservatism, is a Muslim man with parents from Tanzania. Mayor Nenshi’s faith has been politically irrelevant as he was voted the World’s Most Outstanding Mayor, maintaining impressive approval ratings for the past 6 years. 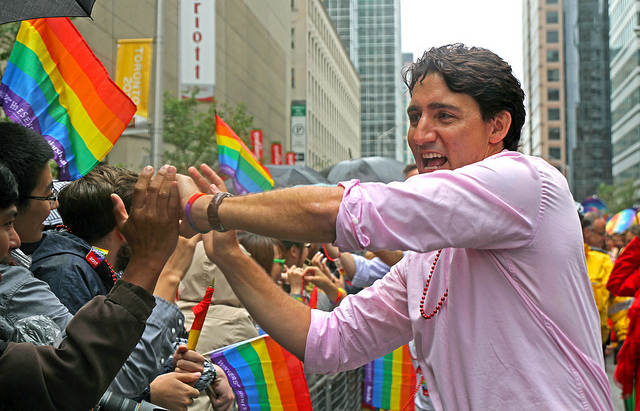 Indeed, images of Nenshi leading Calgary’s gay pride parade typify Canadian multiculturalism. A recent poll reported that 80% of Canadians view immigrants as good for the economy. Inevitable exceptions notwithstanding, the grand majority of Canadians have not blamed ethnic minorities for economic struggles. In the 2015 election, Stephen Harper dipped his toe into the Trumpian scheme of blaming immigrants with his barbaric cultural practices bill and politicization of the hijab. Unlike in the U.S. and much of Europe, Harper’s nationalistic fear-mongering backfired, as voters turned out in record numbers to reject his divisiveness and topple a decade of Conservative power. Moreover, most Canadians recognize that an anti-immigrant protectionist agenda of the kind touted by Trump and his ilk would go against our own self-interests. Still, all of this could change. Canada has not been tested by a local tragedy on the scale of 9/11 or the Bataclan massacre in Paris. Should a similar catastrophe occur in Canada, the arrogance of our unshakable liberalism may leave us more vulnerable to xenophobia and extremism.